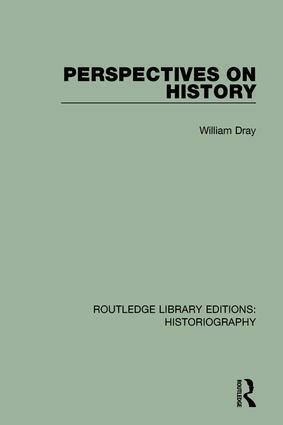 In Part 1 of this book, originally published in 1980, the focus is on certain claims of R. G. Collingwood regarding the nature of historical understanding, of Charles Beard about the possibility of an objective reconstruction of the past, and of J. W. N. Watkins concerning the reducibility of what historians say about social events and processes to what could have been said about relevant human individuals. Part 2 analyses the way certain historians have distinguished between causes and other explanatory conditions in disputing A. J. P. Taylor’s account of the origins of the Second World War. Part 3 discusses the attempt of Oswald Spengler in Decline of the West to determine the meaning or significance of the historical process as a whole, in the criticism of which many themes of the earlier chapters recur.